IMPART stands for the Institute for Mediumship, Psychic, Astrological, and Reiki Training. It is the umbrella organization through which Anne teaches all of her psychic development classes, mediumship classes, channeling classes, astrology classes, Law of Attraction classes, Reiki classes, and Karuna Reiki classes. All Classes are taught in the Orange County area of Southern California at the Impart Wisdom and Wellness Center (IWWC). IMPART also oversees IMPART’s Certification Programs for psychics, mediums, and healers. If you have additional questions, feel free to contact us by email at Anne@AnneReith.com or call (714) 599-0017. Anne’s ability to open the door between our world and the world of Angels, Guides and Loved Ones who have crossed over has healed and opened my heart to those miracles. If she is your teacher, expect your abilities and knowledge to grow beyond your expectations. If she communicates messages to you from the other side, expect to be enlightened and awed by the accuracy and wisdom. 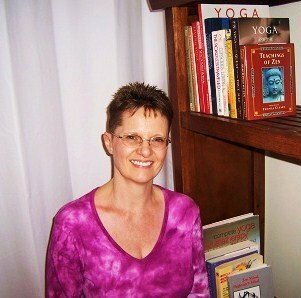 I have been blessed to have Anne as a teacher and as a messenger for my Guides, Angels and Loved Ones. Her warmth, gentleness and unconditional love makes you feel at ease and trustful of whatever comes through. If you only ever reach out to one messenger from God, Anne is the one it should be as she is a true Earth Angel.